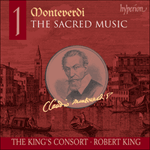 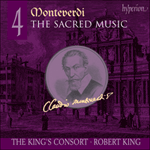 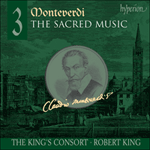 This second volume of Monteverdi’s sacred music focuses on works to be found in the 1650 publication Messa a quattro voci e salmi. 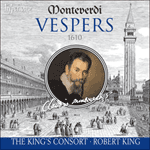 Here we find a glorious Mass-setting (one of only three to have survived complete – the 1597 Mass is recorded on volume 1), and the composer’s well crafted response to the epic Litany of Loreto. 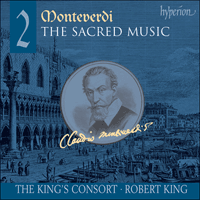 The third work here with full choir is the five-part Exultent caeli, a suitably joyous little work published in 1629.